What’s Better than a bowl of hot soup on a cold night? 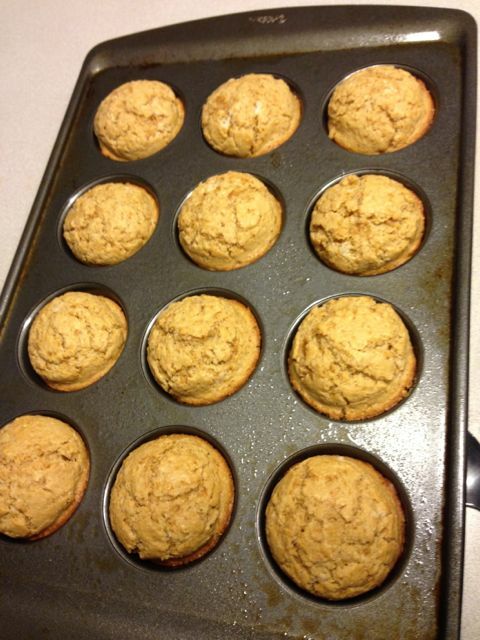 These corn bread muffins on the side! See the recipe below for the ingredients. Mix the wet ingredients in a small bowl. Stir to combine and then add to the large bowl. Mix all ingredients but don’t over mix. With a medium ice cream scoop, fill each cup about 2/3 full. If you have empty spaces, put a little bit of water in them. 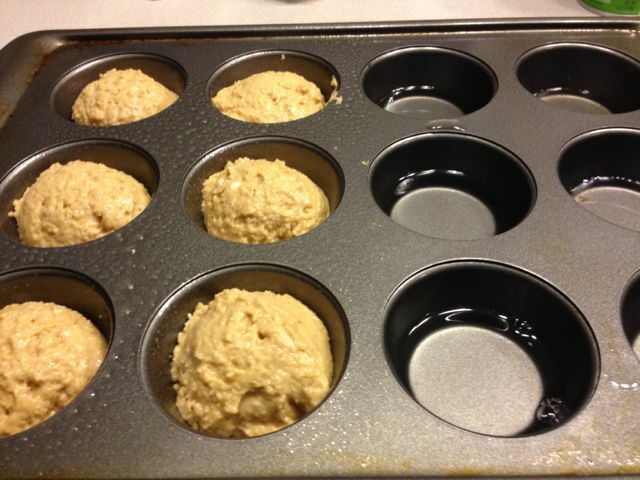 Emeril Lagasse says this will help your muffins bake more evenly and I think I read that it’s better for your pans. And a little more butter to make everything right! 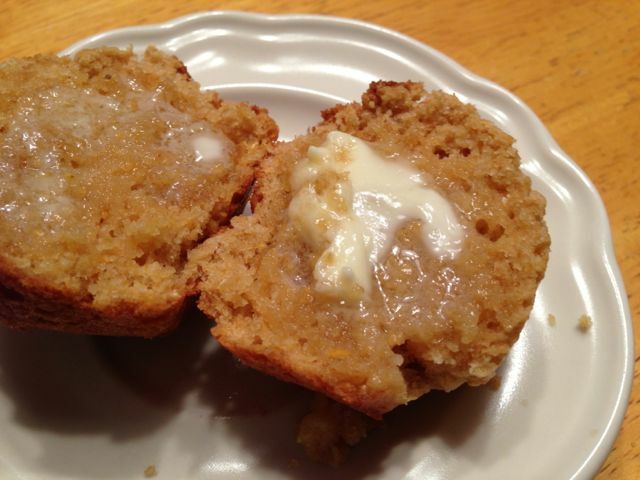 Moist, slightly sweet, tender whole wheat corn muffins. *You can use just milk if you don't have buttermilk. This is what I happened to have in the house when I wrote this post. In a medium bowl, mix milks, eggs and cooled butter. 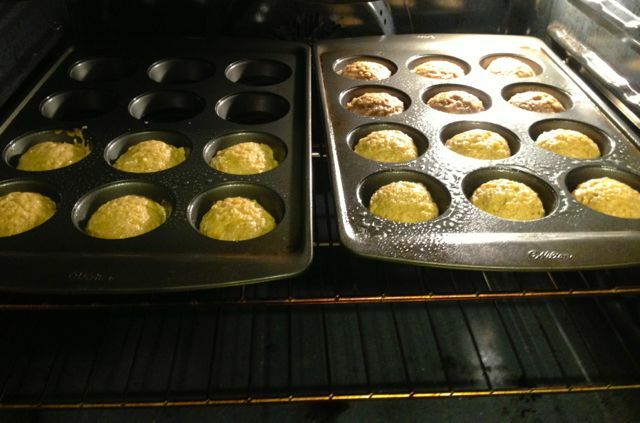 Lightly spray a muffin pan and 6 spaces in a second muffin pan. Put about 2 TBSP water in the empty spaces. 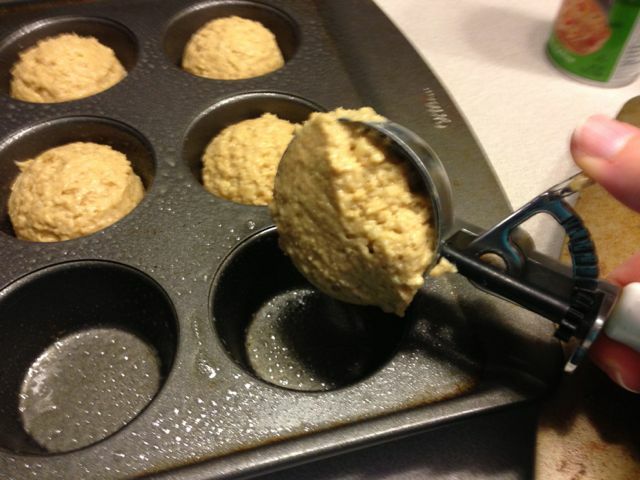 Using a medium ice cream scoop, fill each space about ⅔ full. Bake on 350° for about 25 minutes. 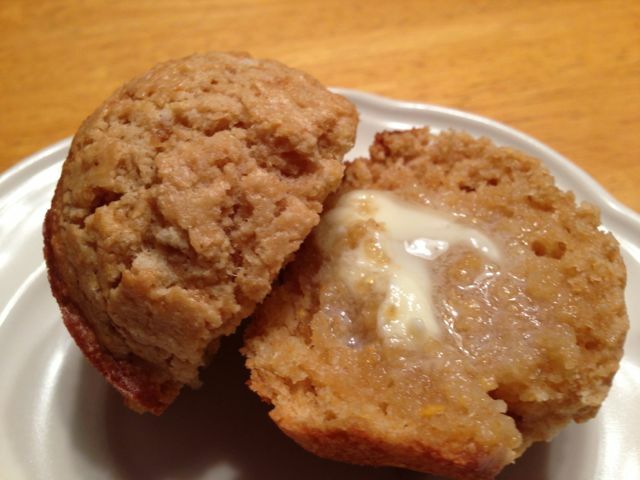 Top with butter while still warm.